Exhibition called “Carpets of Chiprovtsy. Traditions and present time” was opened on 26.02.2015 in the national Ethnographical museum. Event was dedicated to the official announcement of Chiprovtsy’s carpet making as a part of UNESCO’s World non-material cultural heritage and attended by Member of Parliament Desislava Atanasova, Regional governor Ivaylo Petrov and his deputies Nina Petkova and Petar Petrov, representatives of state cultural institutions and many citizens who value the carpet making of Chiprovtsy. “It were not only the carpets themselves, included in the World non-material cultural heritage, but also the tradition and know-how of their making. It is an art which is handed down from centuries ago and it represents the variety and sustainability of the Bulgarian traditions” said reader Petko Hristov from “Ethnology and folklore Institute” during his welcoming speech. 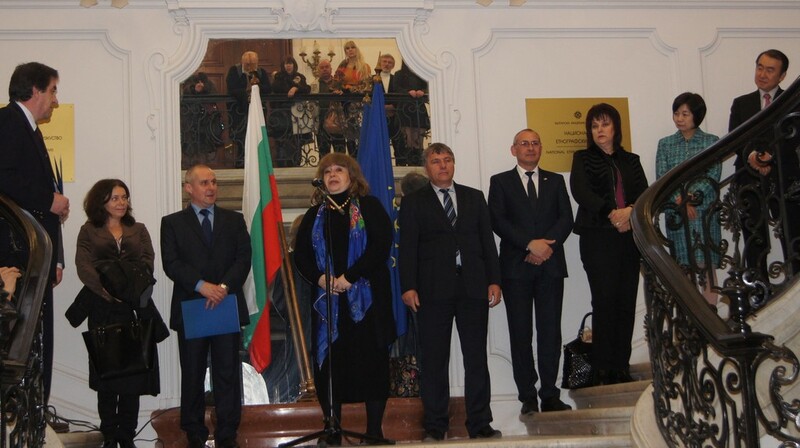 Among the official guests of the event was also prof. Mila Santova, the leader of the team which prepared candidature’s record, presented by the Bulgarian Ministry of culture in front of UNESCO for the purpose of including Chiprovtsy’s carpet making in the list of the non-material cultural heritage. “Every house in Chiprovtsy has a loom for carpet weving and a woman who is able to weave. This art is still alive nowadays which is the most important of everything else. Handing down this tradition practically ensures our presence in the future as Bulgarians. This is the reason why we are here today in order to present the spirit which protects and makes us what we are.” stated prof. Santova with a voice, full of excitement. More than 50 carpets from Chiprovtsy, some of which older than 200 years, were presented at the exhibition which is arranged in 8 rooms of the National ethnographical museum and will remain opened till the 5th of October 2015.